The latest controversy with Rajon Rondo was the news that he was suspended for last night's game against the Knicks for "bumping" a referee. I put bumping in quotations because the contact he made was pretty feeble when you go to the videotape, plus considering that he did . What didn't help matters was that Rondo pretty much blew off the league when they wanted to discuss the matter, supposedly because he felt that it was no matter what he said, the league would come down on him even though he said he was joking. What really makes this story pop is the fact that Danny Ferry, GM of the Hawks, gave video of the incident to a referee, leading to a suspension of his own. 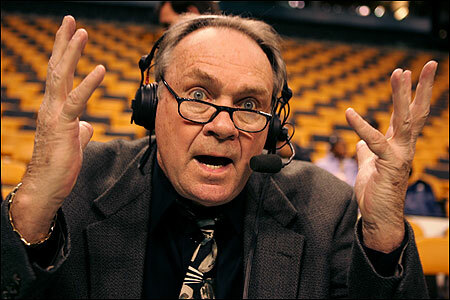 Add all of that together, mix in Tommy Heinsohn's thorough love of the Celtics, leads to a glorious rant that deserves a few "Tommy Points." Let's go to the videotape.